And you see: It’s actually reality! Do you also sometimes have the feeling: So? And why do I study this? Well, there are those moments in your life when you experience: It’s actually worth the time and effort to study -> It’s actually reality! Today, there was one of those days! I randomly signed up with two friends to go to the Ministry of Foreign affairs (which is located about 10 meters away from our college building in Den Haag). 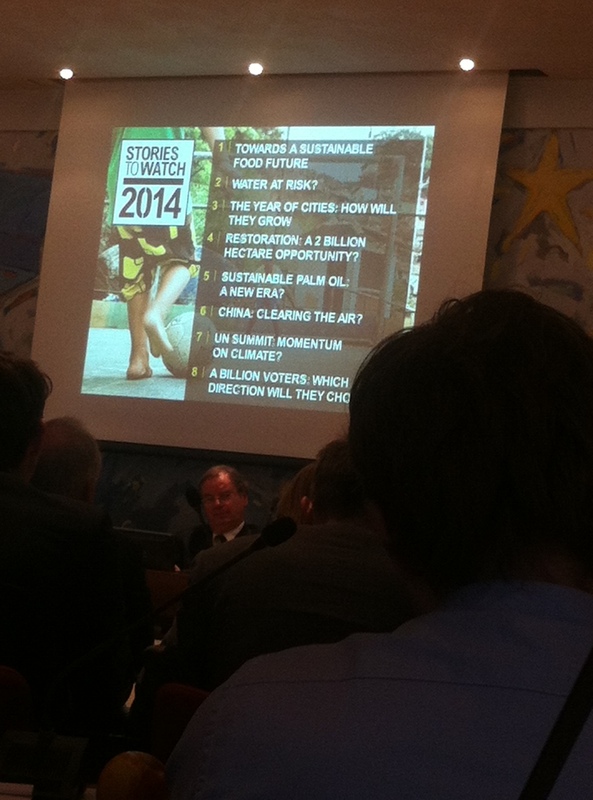 The have organized the launch of “Stories to Watch”, an overview of the major Global Challenges by the World Resource Institute (WRI). 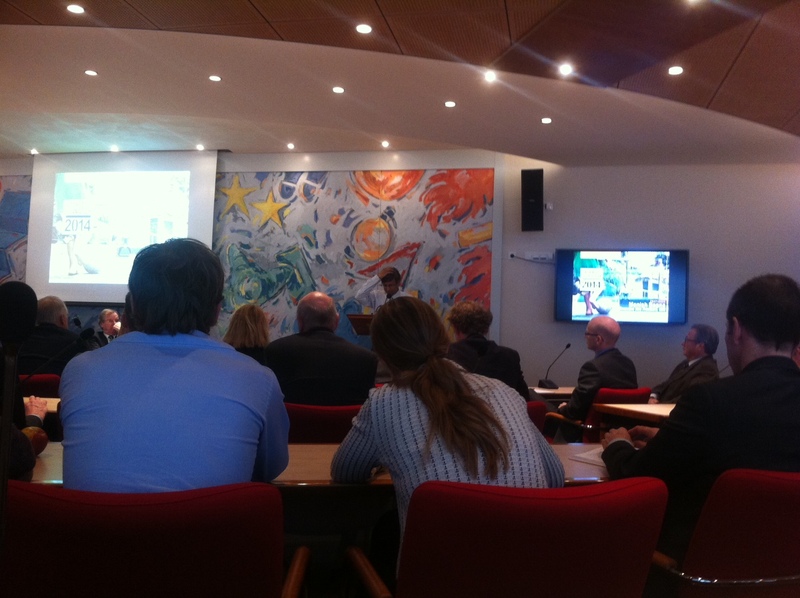 Manish Bapna, the vice president of the global think tank was in The Hague and held a very interesting lecture. The presentation by the WRI discussed and answered sustainability-related questions such as: Will China move to solar energy? Can we stop deforestation? Basically, the lecture was about the major Sustainability and Development Challenges worldwide – the topics about that we learn every day at LUC. It was a great experience to see that and how such topics are used and managed in reality. On top of that we got a little insight in the work of such a think tank, we got to talk to many people who are involved with these issues and got information for internship opportunities. 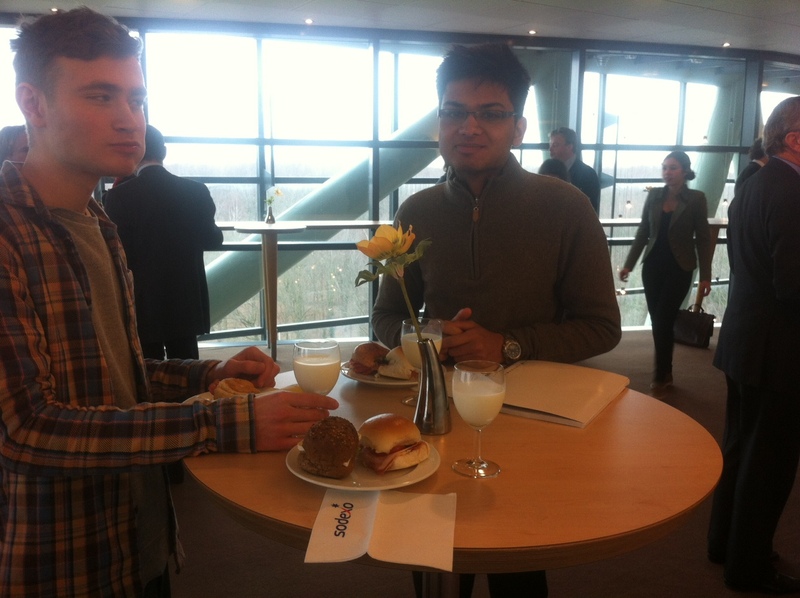 And the best part -> before the start of the lecture, the Ministry of Foreign Affairs provided a nice lunch – “broodjes”, as the Secretary General of the Ministry of Foreign Affairs called it – with milk of course… Dutch Style! What I have learned once more from this event is not only the dress code, but that there are so many opportunities in The Hague and area to get to know interesting people/organizations and stories and that we need to take advantage of these. Definitely: The City of Peace and Justice is also interested in Sustainability! 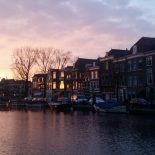 This entry was posted on February 18, 2014 by admin@theleidener in Study, Thomas, Uncategorized.